Bovine mastitis is an inflammation of the mammary gland. There are several causes of mastitis, including bacteria such as Streptococcus agalactiae, Staphylococcus aureus, Mycoplasma, Streptococcus spp., Staphylococcus spp. and coliform bacteria. One species of these, Staphylococcus aureus, is responsible for 15 to 30% of the infections. It has also proven to be one of the most difficult to control with antibiotics. Cost production in lactation and non-delivery of milk due to long waiting time for medicines. In Europe, per cow, in the first three months of the disease, the financial damage is around US $300. In months 4-9, damage is around US $200. In total, the financial damage is approximately US $500, not including veterinarian costs, medications, losses due to premature removal of sick animals, plus the cost of replacement animals. 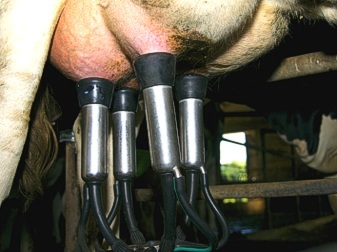 In Holland, for example, mastitis causes severe financial damage. Total damages are estimated to be over US $140 million per year. Losses across Europe are estimated to be US $1.4 billion annually. In the US, mastitis is estimated to cost US dairy farmers US $1.7 billion annually, or approximately US $200 per cow. Damage is caused by loss of production and lower prices for milk (reduced prices due to lower quality category), plus heavy fines when exceeding the European limits of somatic cell count of 400,000 cells per ml milk. In Europe, if a farmer delivers milk with a bacteria count higher than the limit for one month he is penalized 0.62 per 100 liters of milk (US $0.83). In the second month the penalty is 1.24 (US $ 1.67). After three months the fine is 2.48 (US $3.34). The fourth month is 4.96 (US $6.94) and the milk will no longer be accepted for human consumption. In Europe, in 2005, serious financial losses caused the Milk Farmers Organizations, together with government, to set up a multi-year 'Udder-Health-Plan' to decrease cases of mastitis by 10% in 5 years. That is from an incidence rate of 25% in dairy herds down to 15%. GO2 is an effective broad pH spectrum, sanitizing and disinfecting agent. In livestock applications where high organic loads are present, chlorine dioxide maintains effectiveness, even when milk, mud or manure is present. Chlorine dioxide is an effective in applications for udder care and treatment/prevention of bovine mastitis. Chlorine dioxide helps to heal teats with hyperkeratosis, or rough teat ends. Chlorine dioxide does not dissolve hyperkeratotic tissue, but instead softens this tissue for easier removal.